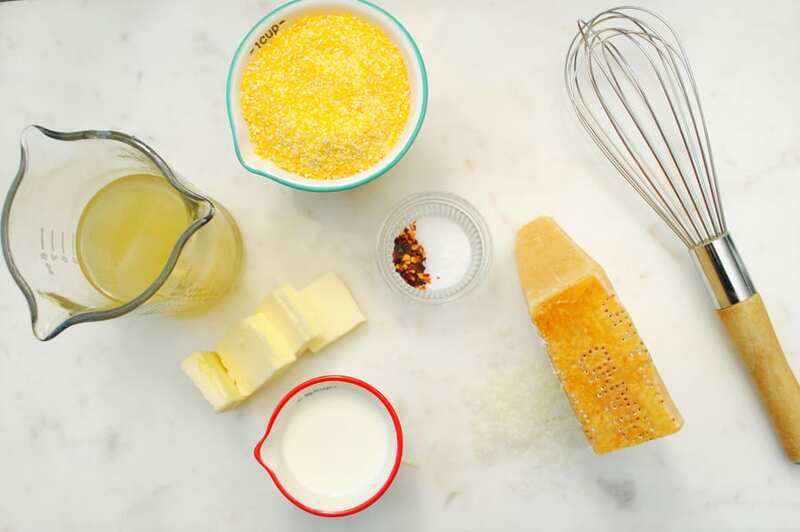 Basic Cheesy Polenta is one of my most favorite side dishes of all time. It’s elegant, yet understated, delicious, and could not be any easier. It’s cheap too, and can feed a lot of people with very minimal effort. I love it as a side or as a base for a variety of recipes. It’s perfect topped with ANY thing tomato. I love to put a meat spaghetti sauce on top for the ultimate comfort food. 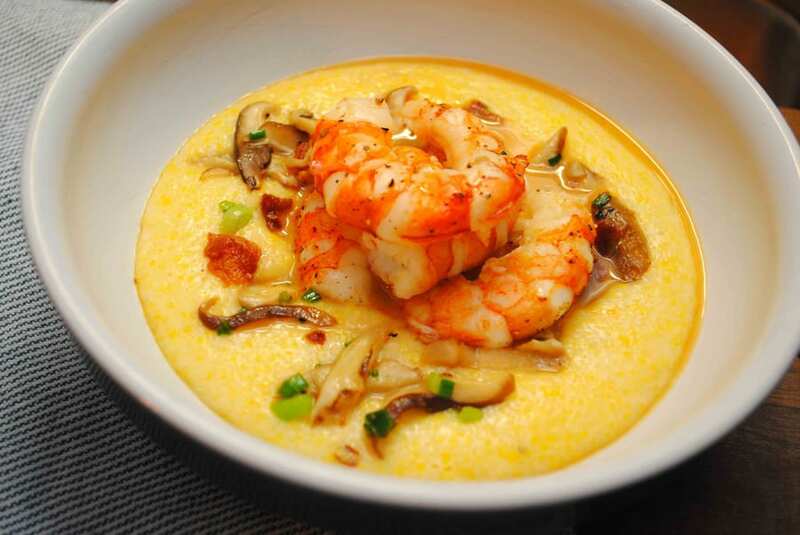 There are several recipes I use that have polenta as a base including Sheet Pan Sausage & Peppers over Cheesy Polenta and Classic Southern Shrimp & Grits. 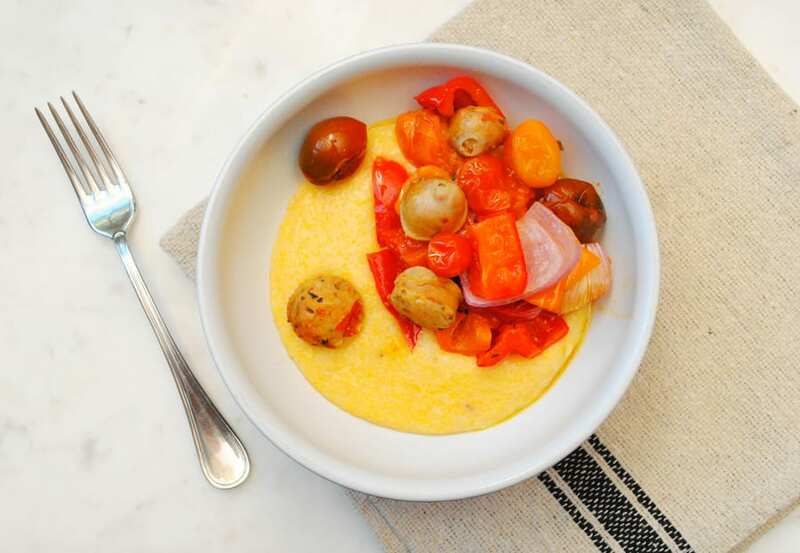 Whenever I make Epicurious‘, 10 minute Sausage Skillet with Cherry Tomatoes & Broccolini I use polenta as the base to serve it over. I don’t know why it’s such an underused staple. 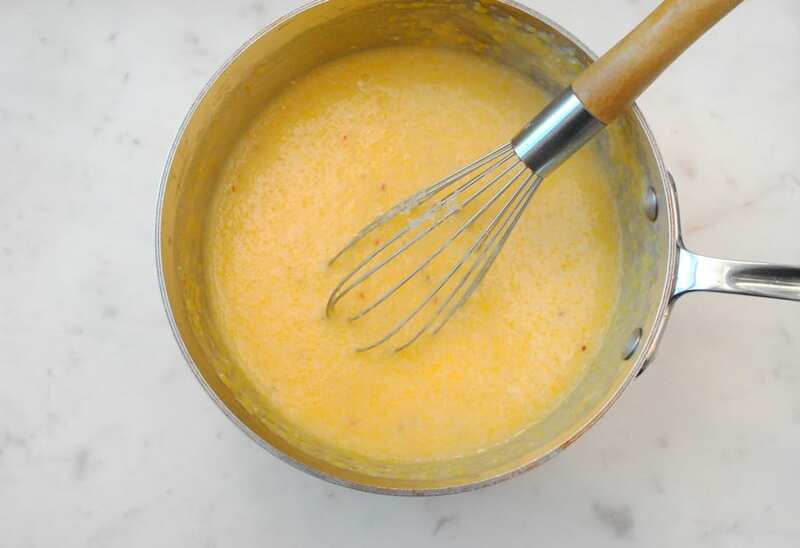 Some people hate grits, and I understand that, I used to hate grits as well, until I started making polenta, and then I realized how to make good grits with good quality ingredients and good corn. It makes a difference. In the other camp are people who think Polenta is too different or too hard. That makes me laugh because all polenta is is grits, and it’s the quickest and easiest thing to make in your kitchen. It cooks in five minutes. In addition to the polenta as a more of a grits consistency you can let the polenta harden in a loaf pan, then slice it thinly and use it as a cake base for mushrooms and spinach, or use it instead of noodles for lasagna. One of my favorite recipes is Gabriele Corcos and Debi Mazar’s Polenta Pasticciata (lasagna)from their show Extra Virgin. And have I mentioned breakfast yet? It’s the best warmed with an egg over easy, a little green onion and some hot sauce sprinkled on top. Best. Breakfast. Ever. I love to use Bob’s Red Mill Corn Grits. 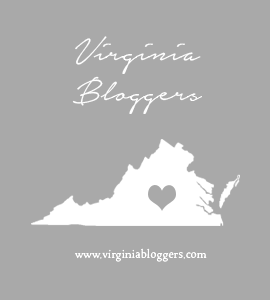 You can find them in the health food section of your grocery store or online. I prefer yellow to white, but it doesn’t really matter what color you have. Use this recipe as a basic side, or use it to amp up any thing you can think of that would be delicious over top. It’s such a wonderful recipe. I hope you enjoy it as much as I clearly do. Bring the stock to a boil in a medium saucepan over high heat. 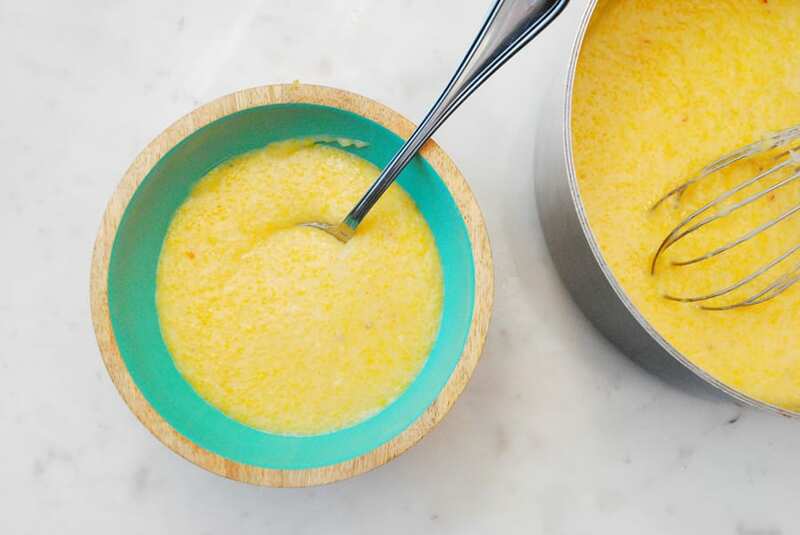 Once the stock is boiling, whisk in the polenta (corn grits). Turn the heat down to medium low. Continue to stir as the mixture thickens. About 3-5 minutes.